Are you looking for a biotechnology job in Ireland? Here at Life Science we have a wide selection of biotechnology jobs to ensure that you find a vacancy that meets your needs. We partner with leading multinational, indigenous and public sector organisations bringing you the best biotechnology jobs in Dublin and Ireland. All of our consultants have graduated with masters in a biotechnology discipline and between them they have worked in some of the most diverse, challenging and rewarding biotechnology jobs in Ireland. 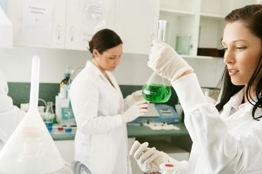 They have a thorough understanding of the biotechnology jobs market so will be able to guide you on your career path. Have a look below at some of the outstanding biotechnology opportunites that we have for you. If you cannot find the perfect match just contact a member of our Biotechnology Jobs Team who will only be too happy to help find that perfect biotechnology job for you.